There has been an absolute explosion in the number of companies entering the ATM part of the space. With all this entrepreneurial activity we\\\\\\\\\\\\\\\\xe2\\\\\\\\\\\\\\\\x80\\\\\\\\\\\\\\\\x99ve even seen innovation around the very idea of what an ATM should be. In these last few days alone Diamond Circle has sought to distinguish itself from the pack: announcing its \\\\\\\\\\\\\\\\xe2\\\\\\\\\\\\\\\\x80\\\\\\\\\\\\\\\\x98cashless ATM\\\\\\\\\\\\\\\\xe2\\\\\\\\\\\\\\\\x80\\\\\\\\\\\\\\\\x99 concept. The unit will allow users to buy bitcoin with a credit card, and sell bitcoin with their bank account. Singapore based producer Tembusu announced its seed funding round of close to USD 300,000 on the back of its machine debut. Interest in the space is high. While the regulators struggle to comprehend Bitcoin and its implications, an ever-increasing number of ATM manufacturers have begun the struggle for market share. The lack of regulation does not seem to be deterring investors or entrepreneurs. After the reported financial success of Robocoin\\\\\\\\\\\\\\\\xe2\\\\\\\\\\\\\\\\x80\\\\\\\\\\\\\\\\x99s premier machine in Canada it\\\\\\\\\\\\\\\\xe2\\\\\\\\\\\\\\\\x80\\\\\\\\\\\\\\\\x99s easy to understand why interest is so high. There is money to be made. MBTC Corporation S.A., a Costa Rica based company, is the latest entrant. The enterprise is an initiative of Mundo Bitcoin, a Spanish and Latin American resource for news & information about crypto-currencies. 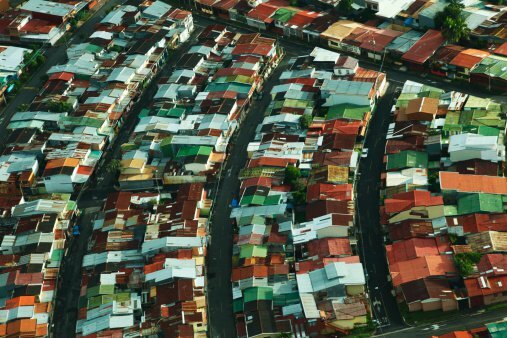 Mundo Bitcoin has become the leading crypto-currency resource in Latin America. 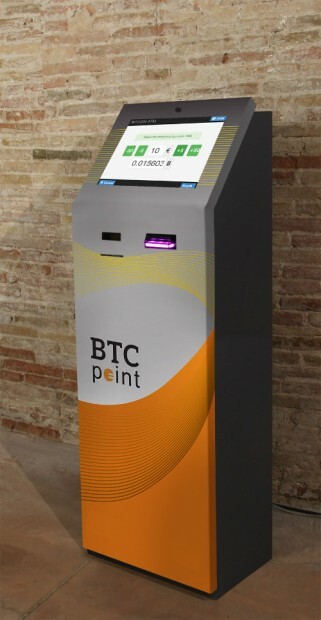 They have teamed up with Barcelona based Bitcoin hardware company BTC Point. The partnership aims to deploy Bitcoin ATMs globally: a lofty goal. Mundo Bitcoin claims an extensive network and experienced international team, to ensure simultaneous deployment in key locations worldwide. Mundo Bitcoin is careful to note that they do not want to focus their efforts only on the Western world. Mundo Bitcoin is a Costa Rica company. So they are uniquely positioned to understand the intricacies and challenges faced when bringing Bitcoin to the developing world. Most interestingly, Mundo Bitcoin has stated that their ATMs are available for immediate (within two weeks) deployment to Latin America, Africa, the Middle-East, India and the Philippines. In an industry that has grown accustomed to significant delivery delays for hardware, this prompt shipment would certainly be a treat. The \\\\\\\\\\\\\\\\xc2\\\\\\\\\\\\\\\\xa0ATMs are security audited, and compliant with regulations in most countries. The company states that they can deploy very large numbers of Bitcoin ATMs on very short notice. In an even bolder move, the ATM\\\\\\\\\\\\\\\\\\\\\\\\\\\\\\\'s will be connected to Mundo Bitcoin\\\\\\\\\\\\\\\\xe2\\\\\\\\\\\\\\\\x80\\\\\\\\\\\\\\\\x99s own Bitcoin Exchange: \\\\\\\\\\\\\\\\xe2\\\\\\\\\\\\\\\\x80\\\\\\\\\\\\\\\\x98Live Coins\\\\\\\\\\\\\\\\xe2\\\\\\\\\\\\\\\\x80\\\\\\\\\\\\\\\\x99. However, the exchange is yet to go live. The company is now actively seeking partnerships with international operators. These machines are two-way, allowing users to buy & sell bitcoin instantly in their local currency, and spend the money directly in their store. The machines recognize over 180 different types of bank notes. The bitcoins are sent to a user\\\\\\\\\\\\\\\\xe2\\\\\\\\\\\\\\\\x80\\\\\\\\\\\\\\\\x99s personal wallet, or alternatively it creates a paper wallet. The Bitcoin users can cash their Bitcoin immediately into fiat, and spend it on location. The customers may also use Bitcoin in sending and receiving remittances. In terms of KYC/AML compliance, the machine recognizes ID\\\\\\\\\\\\\\\\\\\\\\\\\\\\\\\'s such as National ID\\\\\\\\\\\\\\\\\\\\\\\\\\\\\\\'s and Passports and has a front-facing camera. This should be enough to meet regulatory requirements and standards in most markets.